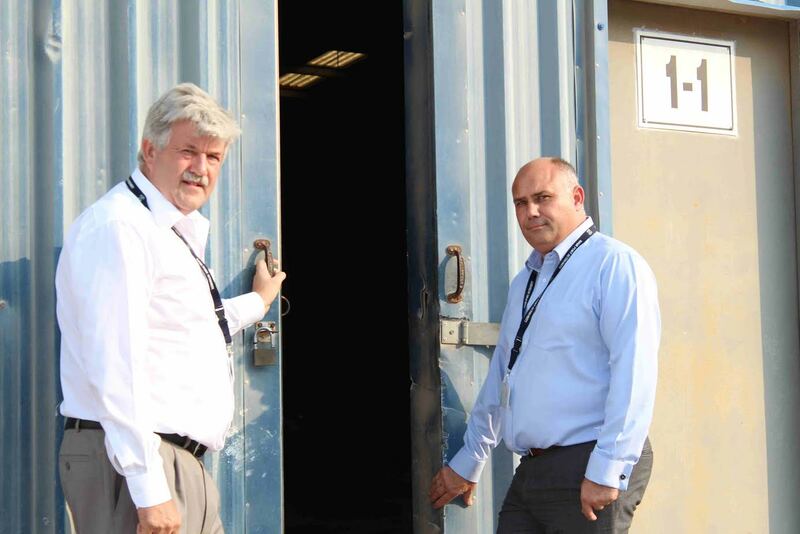 Captain Clifford Brand, CEO of Ras Al Khaimah Ports and Justin Wardle, RAK Port’s Operations Director. Ras Al Khaimah, UAE: Following an internal reconfiguration of its land assets, Ras Al Khaimah Port, one of the Emirate’s five port facilities, has now established a new free zone area that comes under the licence jurisdiction of RAK Maritime City Freezone Authority. As a result new options for supply chain management, storage and manufacturing in the Emirate are now available in the centre city port location, delivering a range of logistical and business advantages. According to Justin Wardle, RAK Port’s Operations Director, there are three land options available, “We have purpose built warehousing ready of 1,512 and 1,944 square meters, and open land of up to 50,000 square meters,” he said, “and we believe that our affordable pricing structure is one that potential tenants will be interested in. The free zone areas have direct access to our Port Zone and its quays. The smaller warehousing site can be split into two 756 square meter options if required.” Wardle explained that in addition to the free zone options, the Port Zone itself has a 1,944 square meter warehouse, and a further non-free zone area contains another 1,944 square meter warehouse and 2,000 square meters of open storage. Wardle also confirmed that the existing services that the port provides will also continue. These include marine layby, afloat repair, logistics, import & export, crew and vessel services, warehousing, cold store warehousing and open land storage. With its proximity to the Straits of Hormuz, combined with its city centre location, and the easy logistical access to the UAE’s other industrial parks and free zones, RAK Port is clearly a choice to be considered.